On the 7th till 19th of August 2014, an international competition for cultural landscape organized by the Department of Culture, DCHS. The competition was held with an aspiration of a two-way learning and understanding the Bhutanese cultural landscape, thus interpreting and contributing ideas in safeguarding, conserving and sustaining the present condition and also the future generations. 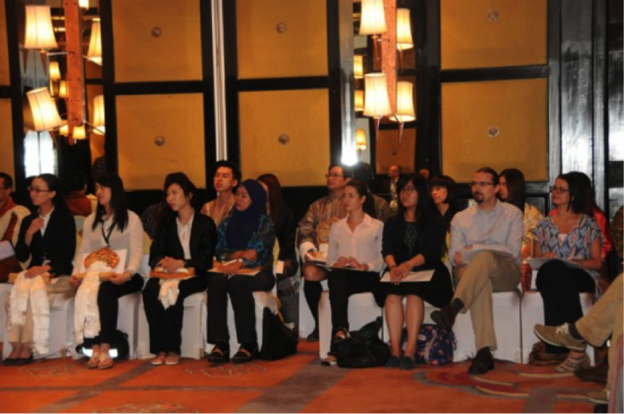 In achieving this goal, the participants were from 3 different schools with diverse background, representing The University of Tokyo (Japan), Chulalongkorn University (Thailand) and University College London (United Kingdom). 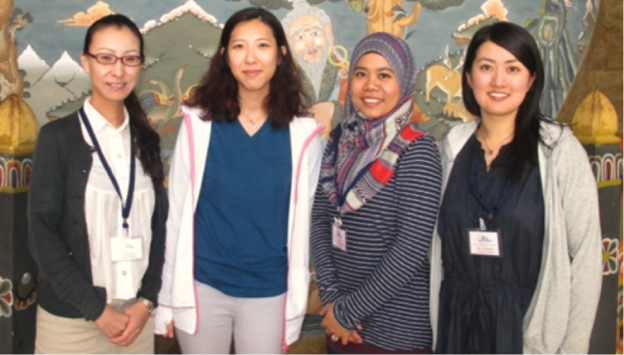 ▲The University of Tokyo were represented by (from left) Dr. Tomoko Mori, Ms. Minju Lee, Ms. Nadia Ab Wahid and Ms. Chie Kodama. 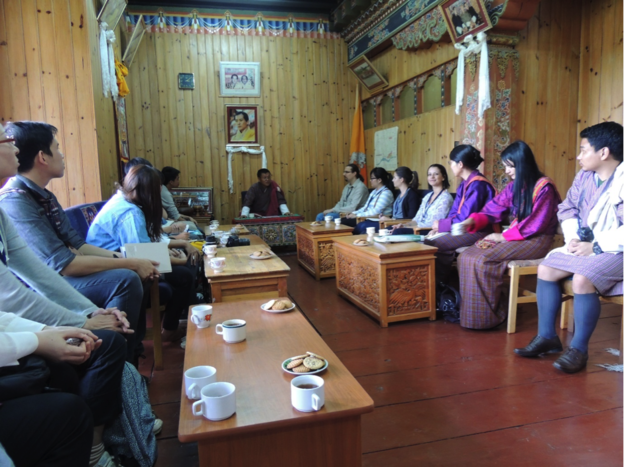 ▲Briefing by the officials in Paro Dzongkha. We learned a thing or two about Paro, the local governing system and their expectations from the participants. Although it was brief yet very informative and we were welcomed with warm hospitality. 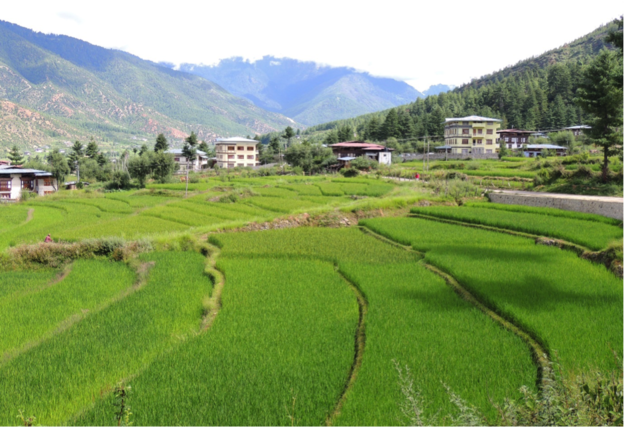 ▲ Rice terrace as part of their cultural landscape. ▲Rinchhending-Shari chiwog, our site of study. 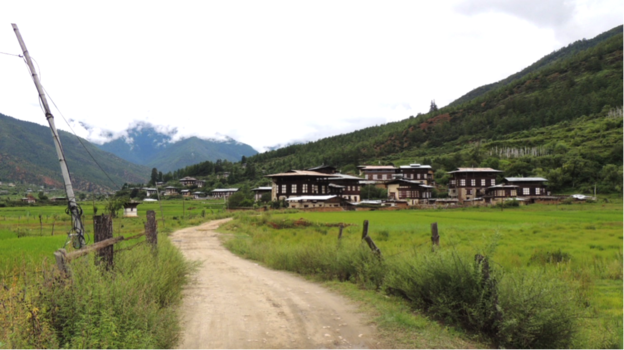 This clustered settlement are divided and registered under six different villages, namely Buelchhukha, Ratongang, Totokha, Hingshingwog, Zakha and Zikha. Rinchending-Shari chiwog has a total of 80 households. ▲ More interviews were done to investigate the history of each houses. ▲ We managed to climb and visit Taktsang Lakhang or widely known as Tiger’s Nest while we were in Paro. It was a good excursion and a break after a long week of working and brainstorming. This forum was the summit and the closing of the program, where the Honourable Prime Minister of Bhutan graced the event by his presence. 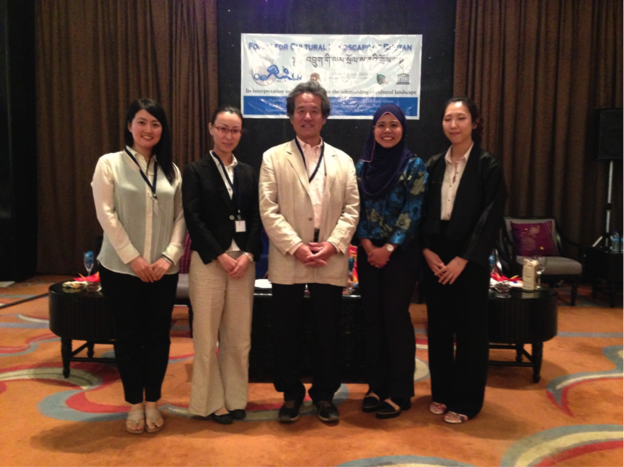 The best part of the forum were short lectures and talks given by notable figures in conservation and heritage such as Prof Nishimura, Prof Dr Roland Lin, Prof Shun Kanda and Asst Prof. Dr. Niramon. Later, the much anticipated result for the competition was announced. The proposal formulated by Team Chulalongkorn won first prize with a thematic development revolving around ‘The Power of Belief’ meanwhile Team University of Tokyo won second prize through our ‘Co-Sharin’ – enhancement of the present community governance system proposal. ▲ We won the second prize with the Co-Sharin concept. 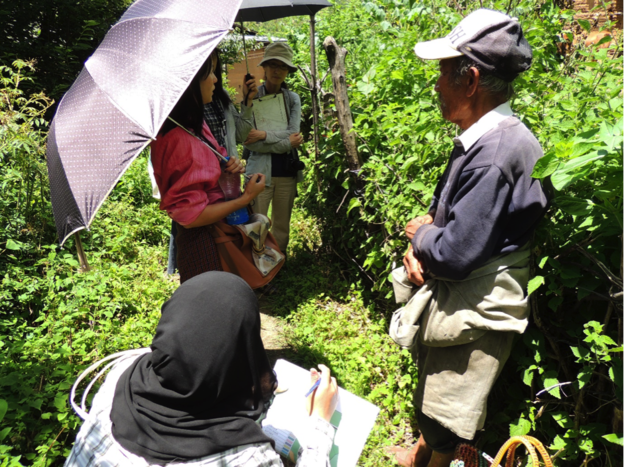 All in all, this kind of program allows a two-way learning process apart from applying the theories that we have learned throughout the years between the participant and the organizer. 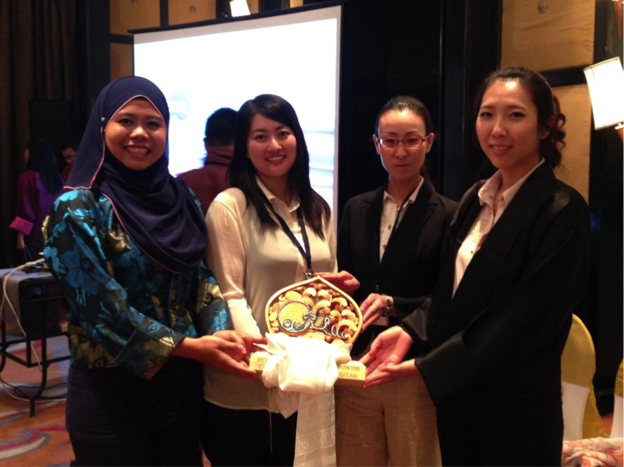 The sharing session was an eye opener, a humbling experience yet enriching. I say, the organizer achieved their goal and vision through this event. Personally, for a foreign student like me, by participating in this kind of program offers an opportunity to experience working with Japanese students (as postgraduate student has minimal communication with lab mates). Throughout the event I get to know their working culture and thought process in formulating proposals and design solutions. Also, apart from wanting to win, I have learnt that during this program there are a lot of room for communication, exchanging knowledge, having healthy disagreements, maintaining professionalism and nurturing respect.